Mike has been my friend since college at Fredonia, and we’ve been to Rascher camps, workshops in Louisville, and I even had the pleasure of playing in a workshop quartet with him. Mike and the Mana Quartet are some of the original RooPad Endorsing Artists. His level of talent and musicianship is remarkable, see for yourself! 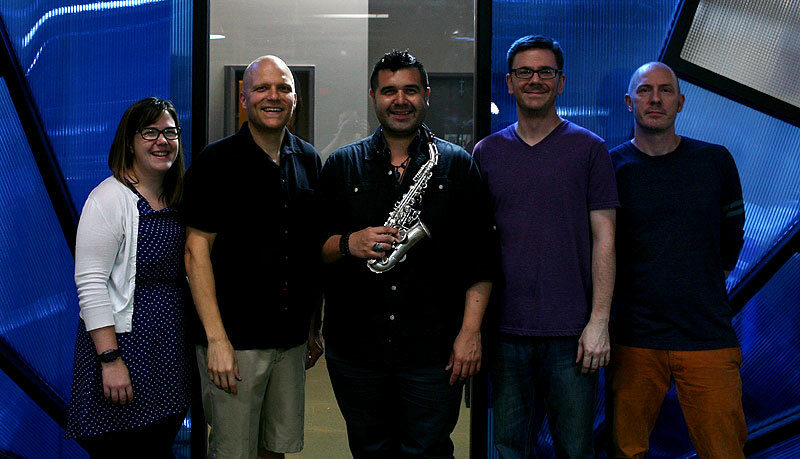 Check out Mike’s website, http://www.michaelhernandezsax.com, to read his bio and learn more. Then check out Mana Quartet to watch videos and order their new CD, Vide Supra, at http://themanaquartet.com . In fact, I’m listening to and enjoying the new album as I write this blog. Mike, we had a blast having you in the shop and look forward to seeing you in a year for your COA if not before!